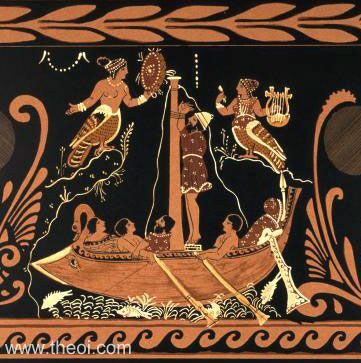 Odysseus listens to the song of the Sirens, safely bound to the mast of his ship. 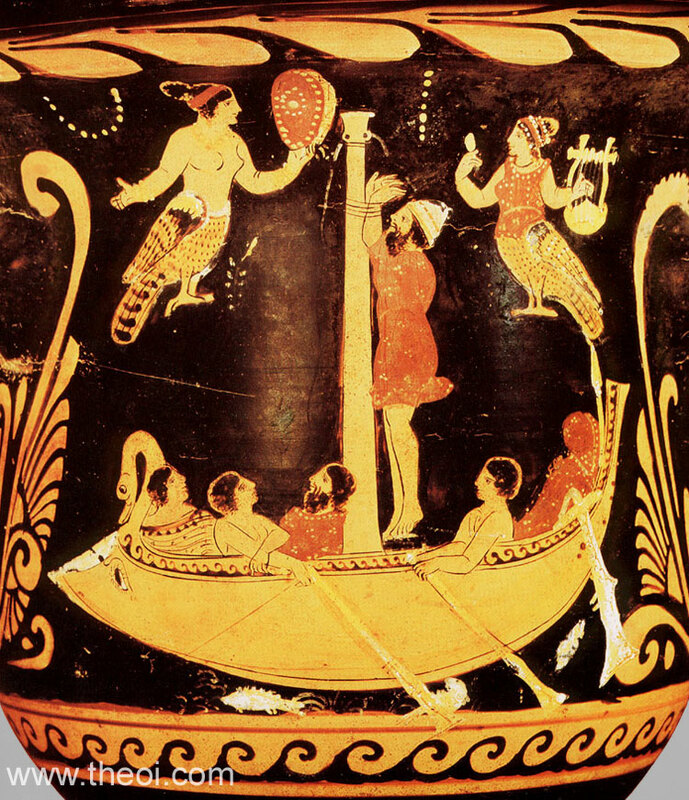 The Sirens are depicted as centaur-like creatures with the heads, arms and torsos of women atop the bodies of birds. One beats a tambourine and the other plays a lyre. Their speckled feather-patterns resemble those of starlings--a bird famed for its delightful song. 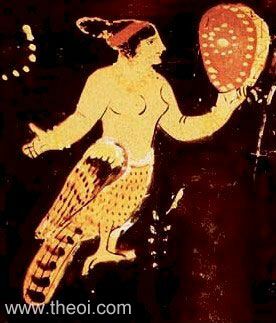 Detail of Siren playing a tambourine. Lithographic print drawing of the vase painting.